Browse our wide selection of sconces and find your perfect match to add flair and light to your wall decor. We offer various styles from sophisticated and vintage inspired, to simple, geometric, and modern. With both rustic and industrial accents, our hand-picked collection of wall sconces offers your home a brighter look and a timeless feel. Regina Andrew Lighting Simon SconceRegina Andrew combines vintage accents, contemporary details and natural elements to create a truly unique collection of lighting and home furnishings. Regina Andrew Lighting Parasol SconceRegina Andrew combines vintage accents, contemporary details and natural elements to create a truly unique collection of lighting and home furnishings. Regina Andrew Lighting Cherise Sconce - Oil Rubbed BronzeRegina Andrew combines vintage accents, contemporary details and natural elements to create a truly unique collection of lighting and home furnishings. Regina Andrew Lighting Adeline SconceRegina Andrew combines vintage accents, contemporary details and natural elements to create a truly unique collection of lighting and home furnishings. Regina Andrew Lighting Trillium SconceRegina Andrew combines vintage accents, contemporary details and natural elements to create a truly unique collection of lighting and home furnishings. Regina Andrew Lighting Hudson Sconce - Polished NickelRegina Andrew combines vintage accents, contemporary details and natural elements to create a truly unique collection of lighting and home furnishings. Regina Andrew Lighting Hudson Sconce - Oil Rubbed BronzeRegina Andrew combines vintage accents, contemporary details and natural elements to create a truly unique collection of lighting and home furnishings. Regina Andrew Lighting Hudson Sconce - Natural BrassRegina Andrew combines vintage accents, contemporary details and natural elements to create a truly unique collection of lighting and home furnishings. Regina Andrew Lighting Soleil SconceRegina Andrew combines vintage accents, contemporary details and natural elements to create a truly unique collection of lighting and home furnishings. Regina Andrew Lighting Claudia SconceRegina Andrew combines vintage accents, contemporary details and natural elements to create a truly unique collection of lighting and home furnishings. Regina Andrew Lighting Olive Branch SconceRegina Andrew combines vintage accents, contemporary details and natural elements to create a truly unique collection of lighting and home furnishings. Regina Andrew Lighting Cheshire Sconce - Oil Rubbed BronzeRegina Andrew combines vintage accents, contemporary details and natural elements to create a truly unique collection of lighting and home furnishings. Regina Andrew Lighting Cheshire Sconce - Gold LeafRegina Andrew combines vintage accents, contemporary details and natural elements to create a truly unique collection of lighting and home furnishings. Regina Andrew Lighting Charlotte SconceRegina Andrew combines vintage accents, contemporary details and natural elements to create a truly unique collection of lighting and home furnishings. Regina Andrew Lighting Adeline Sconce PetiteRegina Andrew combines vintage accents, contemporary details and natural elements to create a truly unique collection of lighting and home furnishings. Regina Andrew Lighting Camden Lantern Sconce - Polished NickelRegina Andrew combines vintage accents, contemporary details and natural elements to create a truly unique collection of lighting and home furnishings. 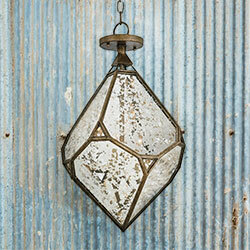 Regina Andrew Lighting Camden Lantern Sconce - Oil Rubbed BronzeRegina Andrew combines vintage accents, contemporary details and natural elements to create a truly unique collection of lighting and home furnishings. 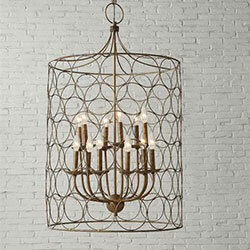 Regina Andrew Lighting Camden Lantern Sconce - Natural BrassRegina Andrew combines vintage accents, contemporary details and natural elements to create a truly unique collection of lighting and home furnishings. Regina Andrew Lighting Villa SconceRegina Andrew combines vintage accents, contemporary details and natural elements to create a truly unique collection of lighting and home furnishings. Regina Andrew Lighting Cape Sconce - Blackened IronRegina Andrew combines vintage accents, contemporary details and natural elements to create a truly unique collection of lighting and home furnishings. 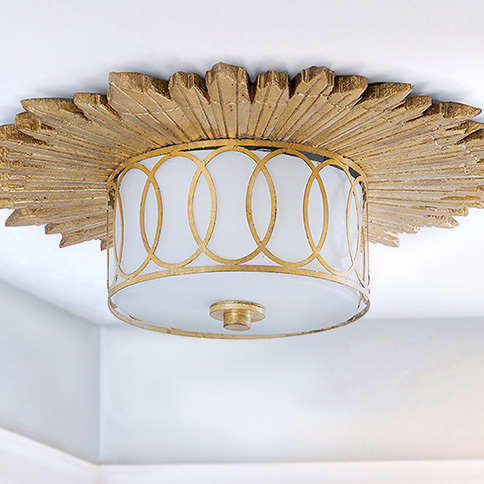 Regina Andrew Lighting Cape Sconce - Antique Gold LeafRegina Andrew combines vintage accents, contemporary details and natural elements to create a truly unique collection of lighting and home furnishings. Regina Andrew Lighting Clove Sconce Single - Antique Gold LeafRegina Andrew combines vintage accents, contemporary details and natural elements to create a truly unique collection of lighting and home furnishings. Regina Andrew Lighting Bodie Sconce - Polished NickelRegina Andrew combines vintage accents, contemporary details and natural elements to create a truly unique collection of lighting and home furnishings. Regina Andrew Lighting Bodie Sconce - Oil Rubbed BronzeRegina Andrew combines vintage accents, contemporary details and natural elements to create a truly unique collection of lighting and home furnishings. Regina Andrew Lighting Bodie Sconce - Natural BrassRegina Andrew combines vintage accents, contemporary details and natural elements to create a truly unique collection of lighting and home furnishings. Regina Andrew Lighting Louis SconceRegina Andrew combines vintage accents, contemporary details and natural elements to create a truly unique collection of lighting and home furnishings. Regina Andrew Lighting Otis Sconce - Polished NickelRegina Andrew combines vintage accents, contemporary details and natural elements to create a truly unique collection of lighting and home furnishings. Regina Andrew Lighting Otis Sconce - Blackened Brass and Natural BrassRegina Andrew combines vintage accents, contemporary details and natural elements to create a truly unique collection of lighting and home furnishings. Regina Andrew Lighting Highball Sconce Large - Polished NickelRegina Andrew combines vintage accents, contemporary details and natural elements to create a truly unique collection of lighting and home furnishings. Regina Andrew Lighting Highball Sconce Large - Oil Rubbed BronzeRegina Andrew combines vintage accents, contemporary details and natural elements to create a truly unique collection of lighting and home furnishings. Regina Andrew Lighting Highball Sconce Large - Natural BrassRegina Andrew combines vintage accents, contemporary details and natural elements to create a truly unique collection of lighting and home furnishings. Regina Andrew Lighting Geo Rectangle Sconce - Polished NickelRegina Andrew combines vintage accents, contemporary details and natural elements to create a truly unique collection of lighting and home furnishings. Regina Andrew Lighting Geo Rectangle Sconce - Oil Rubbed BronzeRegina Andrew combines vintage accents, contemporary details and natural elements to create a truly unique collection of lighting and home furnishings. Regina Andrew Lighting Geo Rectangle Sconce - Natural BrassRegina Andrew combines vintage accents, contemporary details and natural elements to create a truly unique collection of lighting and home furnishings. Regina Andrew Lighting Engagement Sconce - Oiled Rubbed BronzeRegina Andrew combines vintage accents, contemporary details and natural elements to create a truly unique collection of lighting and home furnishings. Regina Andrew Lighting Metro Sconce - Natural BrassRegina Andrew combines vintage accents, contemporary details and natural elements to create a truly unique collection of lighting and home furnishings. Regina Andrew Lighting Zig-Zag Task Sconce - Oil Rubbed BronzeRegina Andrew combines vintage accents, contemporary details and natural elements to create a truly unique collection of lighting and home furnishings. 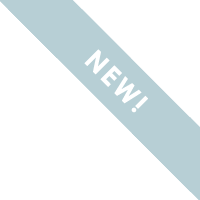 Arteriors Lighting Lawrence SconceArteriors award-winning line of lighting and home decor combines timeless details with contemporary style to create truly original statement pieces perfect for the traditional, transitional or modern home. With frosted glass fitting perfectly into a sharp antique brass frame and backplate, the two-light Lawrence Sconce exemplifies geometric elegance. A modern take on a Japanese lantern. Approved for use in covered outdoor areas. Regina Andrew Lighting Gotham Sconce - Polished NickelRegina Andrew combines vintage accents, contemporary details and natural elements to create a truly unique collection of lighting and home furnishings. Regina Andrew Lighting Gotham Sconce - Natural BrassRegina Andrew combines vintage accents, contemporary details and natural elements to create a truly unique collection of lighting and home furnishings. Regina Andrew Lighting Lafayette Sconce - Weathered ZincRegina Andrew combines vintage accents, contemporary details and natural elements to create a truly unique collection of lighting and home furnishings. Regina Andrew Lighting Clove Sconce Double - Antique Gold LeafRegina Andrew combines vintage accents, contemporary details and natural elements to create a truly unique collection of lighting and home furnishings. Regina Andrew Lighting Duchess Sconce - Silver LeafRegina Andrew combines vintage accents, contemporary details and natural elements to create a truly unique collection of lighting and home furnishings. Regina Andrew Lighting Duchess Sconce - Gold LeafRegina Andrew combines vintage accents, contemporary details and natural elements to create a truly unique collection of lighting and home furnishings. Regina Andrew Lighting Neo Sconce - Polished NickelRegina Andrew combines vintage accents, contemporary details and natural elements to create a truly unique collection of lighting and home furnishings. Regina Andrew Lighting Neo Sconce - Oil Rubbed BronzeRegina Andrew combines vintage accents, contemporary details and natural elements to create a truly unique collection of lighting and home furnishings. Regina Andrew Lighting Neo Sconce - Natural BrassRegina Andrew combines vintage accents, contemporary details and natural elements to create a truly unique collection of lighting and home furnishings. Regina Andrew Lighting Sabrina Sconce - Polished NickelRegina Andrew combines vintage accents, contemporary details and natural elements to create a truly unique collection of lighting and home furnishings. Regina Andrew Lighting Sabrina Sconce - Gold LeafRegina Andrew combines vintage accents, contemporary details and natural elements to create a truly unique collection of lighting and home furnishings. Regina Andrew Lighting Escher SconceRegina Andrew combines vintage accents, contemporary details and natural elements to create a truly unique collection of lighting and home furnishings. Regina Andrew Lighting Tower Sconce - Polished NickelRegina Andrew combines vintage accents, contemporary details and natural elements to create a truly unique collection of lighting and home furnishings. Regina Andrew Lighting Tower Sconce - Polished BrassRegina Andrew combines vintage accents, contemporary details and natural elements to create a truly unique collection of lighting and home furnishings. Regina Andrew Lighting Saturn Sconce - Polished NickelRegina Andrew combines vintage accents, contemporary details and natural elements to create a truly unique collection of lighting and home furnishings. Regina Andrew Lighting Saturn Sconce - Oil Rubbed BronzeRegina Andrew combines vintage accents, contemporary details and natural elements to create a truly unique collection of lighting and home furnishings. Regina Andrew Lighting Saturn Sconce - Natural BrassRegina Andrew combines vintage accents, contemporary details and natural elements to create a truly unique collection of lighting and home furnishings. Regina Andrew Lighting Rupert Sconce - Polished NickelRegina Andrew combines vintage accents, contemporary details and natural elements to create a truly unique collection of lighting and home furnishings. Regina Andrew Lighting Redford Picture Light Large - Polished NickelRegina Andrew combines vintage accents, contemporary details and natural elements to create a truly unique collection of lighting and home furnishings. Regina Andrew Lighting Redford Picture Light Large - Oil Rubbed BronzeRegina Andrew combines vintage accents, contemporary details and natural elements to create a truly unique collection of lighting and home furnishings. Regina Andrew Lighting Redford Picture Light Large - Natural BrassRegina Andrew combines vintage accents, contemporary details and natural elements to create a truly unique collection of lighting and home furnishings. Regina Andrew Lighting Nebula Sconce/Flush Mount - Natural BrassRegina Andrew combines vintage accents, contemporary details and natural elements to create a truly unique collection of lighting and home furnishings. Regina Andrew Lighting Nebula Sconce/Flush Mount - Black and Natural BrassRegina Andrew combines vintage accents, contemporary details and natural elements to create a truly unique collection of lighting and home furnishings. Regina Andrew Lighting Fishbone Sconce - NaturalRegina Andrew combines vintage accents, contemporary details and natural elements to create a truly unique collection of lighting and home furnishings. Regina Andrew Lighting Fishbone Sconce - EbonyRegina Andrew combines vintage accents, contemporary details and natural elements to create a truly unique collection of lighting and home furnishings. Regina Andrew Lighting Alice Porcelain Flower SconceRegina Andrew combines vintage accents, contemporary details and natural elements to create a truly unique collection of lighting and home furnishings. Regina Andrew Lighting Malibu Sconce - Weathered WhiteRegina Andrew combines vintage accents, contemporary details and natural elements to create a truly unique collection of lighting and home furnishings. Regina Andrew Lighting Malibu Sconce - Weathered PinkRegina Andrew combines vintage accents, contemporary details and natural elements to create a truly unique collection of lighting and home furnishings. Regina Andrew Lighting Redford Picture Light Small - Oil Rubbed BronzeRegina Andrew combines vintage accents, contemporary details and natural elements to create a truly unique collection of lighting and home furnishings. Regina Andrew Lighting Redford Sconce - Polished NickelRegina Andrew combines vintage accents, contemporary details and natural elements to create a truly unique collection of lighting and home furnishings. Regina Andrew Lighting Redford Sconce - Oil Rubbed BronzeRegina Andrew combines vintage accents, contemporary details and natural elements to create a truly unique collection of lighting and home furnishings. Regina Andrew Lighting Redford Sconce - Natural BrassRegina Andrew combines vintage accents, contemporary details and natural elements to create a truly unique collection of lighting and home furnishings. Regina Andrew Lighting Florence SconceRegina Andrew combines vintage accents, contemporary details and natural elements to create a truly unique collection of lighting and home furnishings. Regina Andrew Lighting Metro Sconce - Oil Rubbed BronzeRegina Andrew combines vintage accents, contemporary details and natural elements to create a truly unique collection of lighting and home furnishings. Regina Andrew Lighting Crystal Tail Sconce - Natural BrassRegina Andrew combines vintage accents, contemporary details and natural elements to create a truly unique collection of lighting and home furnishings. Regina Andrew Lighting Zig-Zag Task Sconce - Natural BrassRegina Andrew combines vintage accents, contemporary details and natural elements to create a truly unique collection of lighting and home furnishings.